Who can resist a good story, especially when it's being told by Grandma? 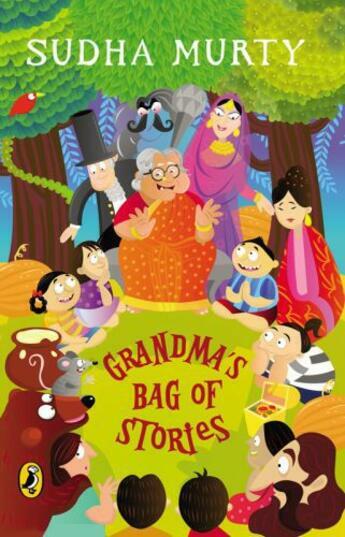 From her bag emerges tales of kings and cheats, monkeys and mice, bears and gods. Here comes the bear who ate some really bad dessert and got very angry; a lazy man who would not put out a fire till it reached his beard; a princess who got turned into an onion; a queen who discovered silk, and many more weird and wonderful people and animals. Grandma tells the stories over long summer days and nights, as seven children enjoy life in her little town. The stories entertain, educate and provide hours of enjoyment to them. So come, why don't you too join in the fun.